The lovely and warm Mediterranean Sea is the perfect spot to try out something new in the water – you never know, you may just fall in love with a new activity! With highly trained instructors and a fun, high-energy atmosphere you can learn a new skill in a safe and entertaining way. 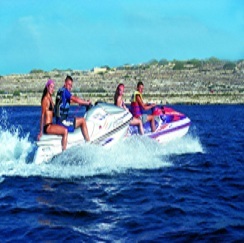 With a range of water sports available at Mellieha Bay that are all-inclusive to the resort, as well as the opportunity to go a little farther afield and be a little bit more adventurous, take time out on your dream summer holiday to Malta to get out there in the water. As part of the all-inclusive amenities available at the db Seabank Resort & Spa (for more information, please click here) you can take part in some thrilling water sports in the lovely Mellieha Bay, which is also referred to as Ghadira Bay. It is the longest sandy beach in Malta, and is one of the safest too thanks to its sheltered bay and shallow waters extending around a mile into the Mediterranean Sea, making it the perfect location to try out a new water sport in safe surroundings. 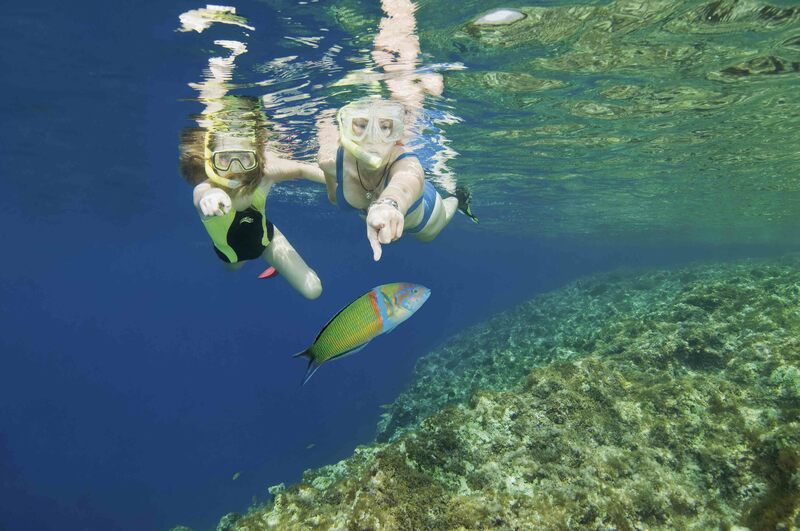 Expert instructors will take you out into the bay where you can swim, learn to snorkel and even go diving in the crystal waters of the Med. With family and adults only groups open to join, you can be sure that you will find the right level for you to enjoy yourself in the water. In addition to the water sports taking place in the bay, they are also organised sessions in the resort pools such as pool volleyball and water polo. There are also separate competitions organised for children in the kids’ pool where they can have fun, get active and make friends. Click here to find out more about organised daytime activities at the resort. If you are feeling a bit more adventurous, then why not try booking an excursion with one of the third party water sports companies that are partnered by the hotel. From paragliding to windsurfing, to boating, boat tours and more, you can enjoy learning a new skill under exert tuition in the lovely Maltese surroundings. You can also book boat tours to explore the coastline by sea, with knowledgeable guides pointing out all the highlights. If you would rather explore under your own steam, then why not hire a pedalo or a rowing boat to take in the views of the land in one of the most relaxing ways possible. Just ask at reception, and they will be happy to advise you. Booking a sunshine holiday at the db Seabank Resort & Spa gives you the opportunity to try something a little bit different, all in the stunning surroundings of this lovely Mediterranean island with its extensive coastline. To find out more and to check availability, return to the resort’s main page here.